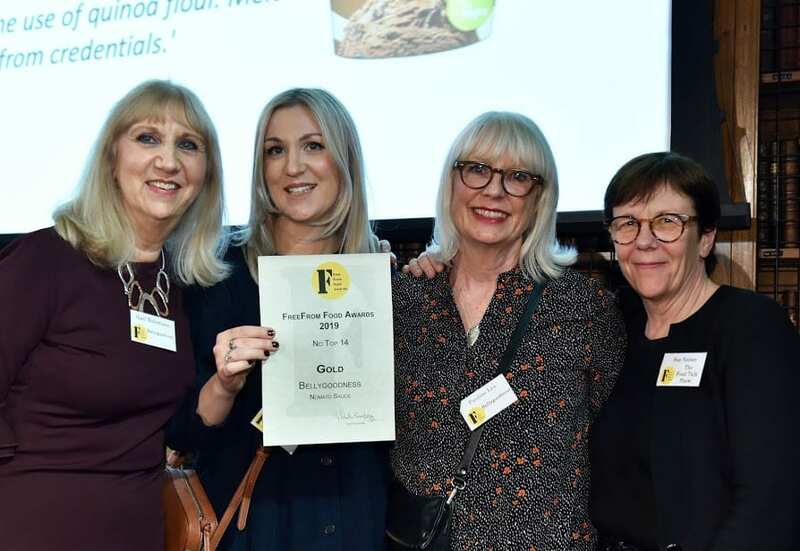 We were delighted that Froghop client Bellygoodness had a great night at the FreeFrom Food Awards recently. The gut-health sauce company won two golds and two silver awards and was also nominated in the best overall product category. The awards celebrate the innovation and imagination shown by the food industry in creating foods that are free of wheat, gluten, dairy, eggs, nuts, soya, sulphites and other allergens. The awards are now in their twelth year and have become one of the most important fixtures in the freefrom year. Bellygoodness will now be able to display the bright yellow awards logo that is seen on winning, commended and shortlisted products on sale everywhere from supermarket shelves to on-line specialist suppliers. Bellygoodness was founded by two mothers and two daughters who wanted to create flavour-packed food without common ingredients that can irritate the gut. So there’s no gluten, yeast, dairy, added sugars, onion, garlic or tomato. Bellygoodness now offers a range of five sauces – Nomato, Mediterranean, Curry, White and Chilli – as well as gut health supplements. Nomato was also runner-up in the FAIR Trophy for the Best Freefrom Food for 2019. The Froghop team has hugely enjoyed working with Bellygoodness and it’s fantastic to see them get this recognition. You can find out more and buy Bellygoodness’ sauces online.